Gaia is a “Free Will Planet.” What that means is that the humans, who were meant to be the most evolved beings on the planet, must expand into the frequency of consciousness to the frequency in which they innately “bond together and offer service to others” during a crises, as well as during their everyday life. When humanity has come to the point of evolution that they realize that “helping each other” expands beyond just humans and encompasses the entire planet, as well as ALL of Gaia’s creatures, elements and Elementals, we, your Galactic Family, will gain the “go-ahead” from the higher dimensions that “IT IS THE NOW” to directly interface with humanity in preparation for First Contact. In order to assist with planetary ascension, our “volunteers to take an earth vessel on Gaia” assist humanity to expand their consciousness into the next octave of reality, which is the fifth dimension. Some humans have learned/remembered a sense of mastery over their third dimensional reality. 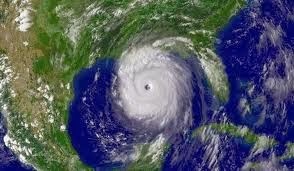 This mastery has been revealed by the great “service to others” that has been revealed from the recent disasters. Those who have gained this mastery of “Service to Others—including Service to Gaia” will become the “teacher of ascension,” for which they will be trained when they journey to their specific Starship and/or Home World in their third, fourth or even fifth dimensional bodies. We, your Galactic Family, regret the great challenges of “ascension from a third dimensional human and return to your innate fifth dimensional SELF!” However, because the “forces of darkness—the Illuminati” want to take over Gaia to be one of their planets, humanity must face all their own inner darkness. They must face the fact of their own inner darkness, for if they cannot perceive the darkness within themselves, they will not be able to perceive the darkness of the “Illuminati.” Because, Gaia is NOW ready to begin the acceleration of Her “Planetary frequency” from the third dimension—through the fourth dimension—and into the fifth dimension, we your Galactic Family, are standing by to assist all OUR brave ascending ones. We say, “Our ascending ones,” because WE are YOU in a higher frequency of reality. 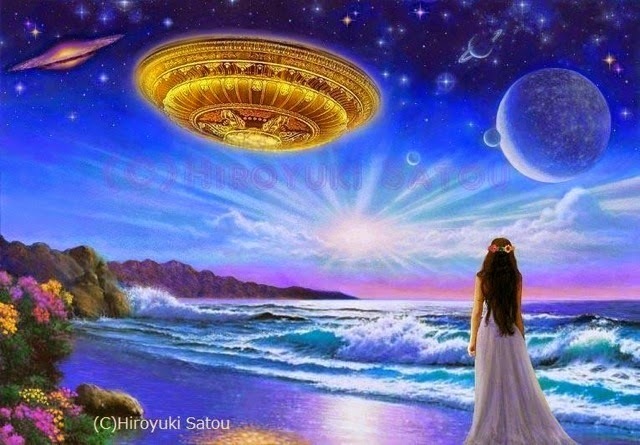 You are immensely brave members of our multidimensional reality who have volunteered to take an earth vessel to assist Gaia with Her planetary ascension. Therefore, you were called on to reduce your innate resonance from the fifth dimension so that you could resonate to the third dimension. Going from the fifth dimension into the third dimension is much like a deep sea diver going to the bottom of the ocean. In fact, our volunteers to earth must take “time” in special chambers on our ship to re-adjust to the higher frequencies of our multidimensional Star Ships. As we have said, the United States was meant to be the Flashpoint of planetary ascension. However, Mexico is considered to a component of that area because they are attached. In fact, Mexico is the land bridge which connects North America with South America. 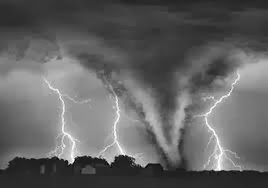 Therefore, just as the United States was the victim of this “weather warfare,” so was Mexico, because they are attached. Also, because Mexico is a major part of the “land bridge” to the South American continent, it is very vital for the ascension of both North and South America. We are aware that since most of humanity sees the Earth as a THING, they do not consider the many “human qualities” that each landmass has. Humans have always thought that the humans created the culture, which affected the land. However, it was just the opposite. It was the land that influenced the humans. Once humanity is able to expand their consciousness enough to perceive Gaia as a living, breathing being, they will be able to realize that it is NOT the people that influence the Earth. It is the Earth—MOTHER EARTH—who influences the people. HOWEVER, THIS “WAR” is totally different, as not too many humans realize that the enemy is the unknown members of the Illuminati. 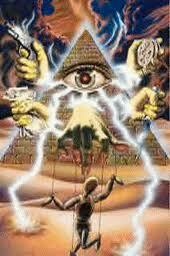 These Illuminati members know that Gaia has an opportunity for ascension. And, what creates ascension? MASS Unconditional LOVE. Therefore, the dark ones thought that if they created MASS fear, they would thwart the ascension process of Gaia. To their surprise, inside the many victims of these great disasters encouraging mass fear, they revealed MASS UNCONDITIONAL LOVE! Therefore, the great damage to Gaia revealed that MANY humans were, and still are, operating via UNCONDITIONAL LOVE. Those who were not victims to the disasters, and even those who were victims of “all” the recent disasters, have shown immense courage, total service to others, and deep, abiding Unconditional LOVE for Gaia, Gaia’s land, and Gaia’s human population. The Illuminati were quite happy because they thought these many disasters would create a broken, fearful population that could easily be manipulated and controlled. However, INSTEAD, the many disasters served to create a population of humans who demonstrated their deep love for all man (no matter what race, color or creed), immense courage and self sacrifice for humanity, as well as animals and other living beings. Humanity also revealed an immense strength of endurance and inner power, which made us, the Galactics, realize that maybe these brave ones will be able to assist Gaia with HER ascension, in the same manner in which they have joined Her in order to assist Her. We, your Galactic Family, are so VERY proud of those who have taken an earth vessel within this NOW! It may look to many that there has ONLY been great destruction and suffering. However, from the perspective of the fifth dimension and beyond, we see more and more of our brave humans visiting our Starships at night and bringing their lessons home to share with their fellow humans. 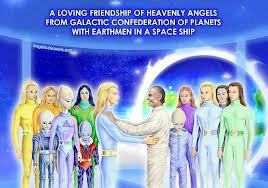 From our Ships, we can see Gaia beaming with a New, Higher Light and Unconditional Love. In closing, we wish to tell all of you who lost loved ones that they are HERE WITH US in the higher dimensions. 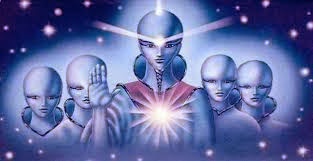 The Arcturians and your Galactic Family!